Elephant House, one of the country’s most cherished brands, received the Silver award in the Medium category for the Confectionery and Beverage sub sector within the Industry Sector at the 22nd annual National Chamber of Exporters Awards (NCE Awards) recently. This marks the 6thoccasion that Elephant House has been recognized at this prestigious forum for its continued contributions to the Sri Lanka’s export earnings. “As a home grown brand, we are committed to adding value to the Sri Lankan economy and are honored to be recognized yet again as a company that contributes to the country’sexport earnings. Encouraged by such appreciation, we look forward to capturing newer markets with our uniquely Sri Lankan flavors” said DamindaGamlath, Head of Beverages, Elephant House and Vice President, John Keells Holdings. Elephant Houseachieved remarkable year on year growth in exports with 30% in soft drink and 25% in ice cream. Being local favorites in their respective categories, Elephant House beverages - Elephant House Cream Soda, EGB, Orange Barley, Lemonade, Necto, Bitter Lemon, Orange Crush, Apple Soda, Soda and KIK Cola - are also relished by consumers in over 25 countries that they are exported to. EGB in particular has seen a significant growth in demand in several export markets. Elephant House ice creams continue to reign supreme in Maldives, having captured over 50% of the market with its extensive range of flavors from the everyday Chocolate and Vanilla to the exotic Karthakolumban and PaniCadju. The NCE Awards is one of the most anticipated high-profile event in the Sri Lankan business calendar and is known as the ‘Voice of the Exporters’. 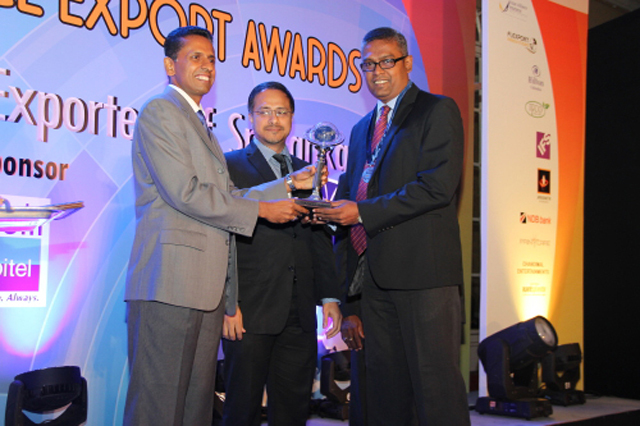 It recognizes excellence within the local export sector, and companies that make indispensable and vital contributions to sustain and expand the Sri Lankan economy. The awards laud innovative advancements and excellence in the export industry under three areas – products, business and professional services, and service providers to exporters.